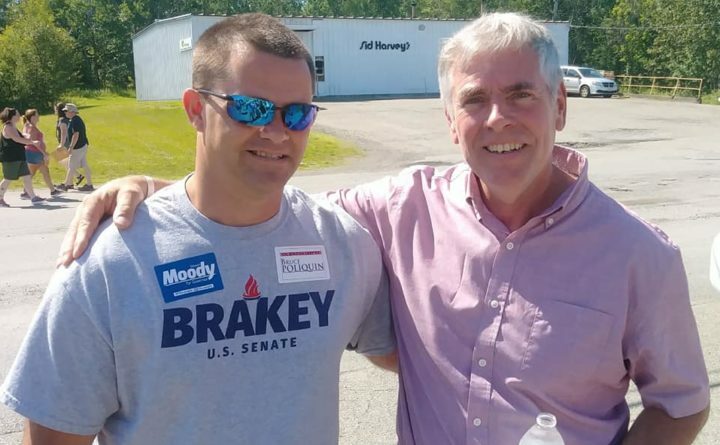 Derek Levasseur, left, poses with Republican gubernatorial nominee Shawn Moody at a parade in 2018. Levasseur says he's running in a primary against U.S. Sen. Susan Collins in 2020. A conservative blogger has announced that he’ll run a Republican primary against U.S. Sen. Susan Collins as she approaches a 2020 re-election race promising to be one of the more competitive ones in a year with a difficult map for Democrats. He is Derek Levasseur, a blogger and former police officer from Fairfield who said in a Facebook post that he will run after Collins joined 11 other Republican senators to oppose President Donald Trump’s border emergency declaration. He hasn’t filed with the Federal Election Commission yet, but he said he will when he raises $5,000. Levassaur says he’ll back Trump’s “America First policies” and his run shows lingering resentment toward Collins among conservatives, even if he doesn’t begin as a serious threat to the senator. He’ll have to deal with being a relative unknown and a 2012 incident — no longer on his record — in which he was charged with assaulting four people, including a daughter. Levasseur’s stint as a police officer ended after the incident at a wedding reception, which he blames partially on post-traumatic stress disorder. Levasseur worked for the Kennebec County Sheriff’s Office from July 2009 to June 2011 before going to work as a part-time officer in Clinton in January 2012, according to the Maine Criminal Justice Academy. In August of that year, the Morning Sentinel reported that he had been arrested on a misdemeanor charge of domestic violence assault and charged with other counts of assault after a fight around 1 a.m. at his wedding reception in Clinton that left only minor injuries. Since then, he has joined the arch-conservative Republican state committee and interviewed party candidates during the 2018 elections. Levasseur has been particularly active in politics since 2017. His Facebook channel has more than 4,000 followers, he filmed interviews with several Republican candidates in the 2018 elections, he serves on the Maine Republican Party’s state committee and has volunteered on party campaigns. Collins, whose spokeswoman didn’t respond on the record to Levasseur’s challenge, looked vulnerable on her right after her 2017 moves to oppose Republicans’ proposal to repeal the Affordable Care Act, but her high-pressure vote for U.S. Supreme Court Justice Brett Kavanaugh seems to have gone a long way toward shoring much of that support back up. Still, Trump and former Gov. Paul LePage are the darlings of the state’s party grassroots, so few primary challengers can be totally discounted. It was less than two years ago that LePage was trying to ward Collins off of the 2018 governor’s race and he and his allies have as much control over the Maine Republican Party as ever. Vice Chair Nick Isgro, the Trump-echoing Waterville mayor, has emerged as the party’s key informal spokesman and Levasseur backed Isgro in his recent struggle with Maine Senate Republicans over controversial tweets about vaccination and immigration. When U.S. Sen. Olympia Snowe announced her retirement in 2012, she was being challenged in a primary by Scott D’Amboise, who was also a relative unknown. Her departure sent better-known politicians scuttling toward the race until independent former Gov. Angus King came in to clear many well-known Democrats away from it and claim the seat. Collins is probably in a good spot to ward off such a challenge, but it’s still a thorn in her side even if she punches a ticket to a 2020 race with a Democrat in which both parties are promising high-dollar efforts for the seat. It will be another day with more listening than action at the State House. The Appropriations Committee will continue to field public input on the biennial budget. Most other legislative committees are still plowing through public hearings on mountains of proposed bills. — The Inland Fisheries and Wildlife Committee will host public hearings on proposals related to turkey, bear and coyote hunting. Meanwhile, Gov. Janet Mills intends to sign a governor’s bill today that would allow the commissioner to extend the ice-fishing season. — The education committee will spend the morning sorting through anti-hunger bills. Appropriately, the panel will reserve an afternoon session for public hearings on a proposal to start high school later. The afternoon session also will include hearings on proposals to ban Native American mascots in all schools and to limit students’ cellphone use. Click here to listen. — The Veterans and Legal Affairs Committee will consider bills related to tribal gaming, a variation of which shows up in almost every Legislature, and a bill that would affect gaming at fairs and festivals. Click here to tune in. 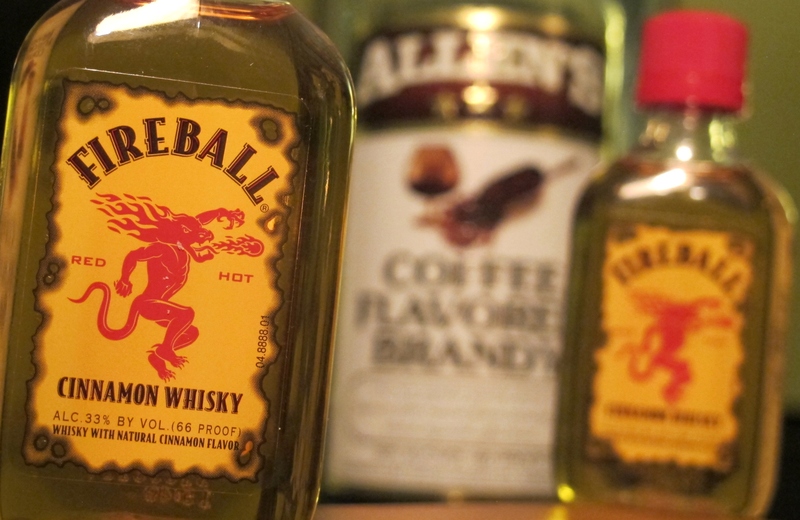 — Among a host of other public hearings on today’s docket, the Health and Human Services Committee will consider a ban on the sale of flavored tobacco products in Maine. Click here to listen. And click here for the week’s full legislative calendar. — The special prosecutor released his report on alleged Russian interference in the 2016 campaign. Attorney General William Barr summarized the report in a four-page letter to Congress. Trump said it exonerated him on allegations that his campaign colluded with Russia to affect the outcome of the 2016 presidential election. Special prosecutor Robert Mueller did not take a firm stand on whether Trump obstructed justice, according to Barr, who also wrote that Mueller did not exonerate the president on obstruction. Maine’s congressional delegation urged Barr to make public the entire report. Read Barr’s letter here. — Maine’s new education commissioner continues to champion classroom teachers. The Lincoln County News reports that Education Commissioner Pender Makin told a group of educators in that county that the department she now leads intends to rebuild trust in educators. She decried a departmental culture of “carrots and sticks” applied to education and education leaders during the past few decades as a terrible mistake. “We need to re-engage with you as providers of resources, information and guidance, and not as providers of handed-down mandates,” Makin said. “That’s the old way, and we’re trying to change that.” She also warned against the influence of software sellers and other businesses with profit interests that don’t always align well with the mission of public education. — A Portland lawmaker wants Maine to take a hard look at when kids should be allowed to start playing tackle football. A bill from Rep. Michael Brennan, D-Portland, would establish a 13-member commission to “review the current data and research related to Chronic Traumatic Encephalopathy, [concussion-related injuries] and determine if steps should be taken to protect the health and safety of youth who participate in tackle football in the state of Maine,” Brennan said in a written statement introducing the bill. The panel would present its findings next year. Maine has seen a steady decline in the number of high school football players — with 3,443 competitors in 11-player football in 2017, down from 3,631 a year earlier — and some schools are eliminating their football programs or considering a switch from 11 to eight players on offense and defense. The first signs of spring in Maine after winter’s end are a joyous thing: Crocuses emerging, the sun hanging in the sky longer in the evenings, birds singing, Belfast residents donning socks with sandals. Additionally for me, once the temperature settles above 40, my body signals with sneezing fits and a congested nose that refuses to unclog. Never in my life have I had allergies. Not even when I was growing up in the allergen-rich Ohio Valley in Kentucky, where pollen would collect visibly on parked cars, resulting in my brothers and parents needing to be stuffed full of allergy medicines and other remedies. Nor did I suffer from allergies for the first six years of my living in Maine. In 2016, it started with the inexplicable onslaught of sneezes. A modest fit regularly included at least nine or 10. My former colleague at The Forecaster, David Harry, who could hear my rapid-fire sneezing from another room, used to purposely refrain from saying “Bless you” until at least the third sneeze, since that was my baseline.